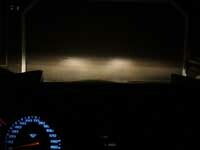 Aiming the factory fog lamps for better usage is very easy to do. The following tools were used to make the modification. Turn off the lamp switch and allow the bulb to cool before changing the bulb. Leave the: lamp switch off until the bulb change is complete. Do not drop or scratch the bulb. Place the used bulb in the new bulb's carton and dispose of it properly. 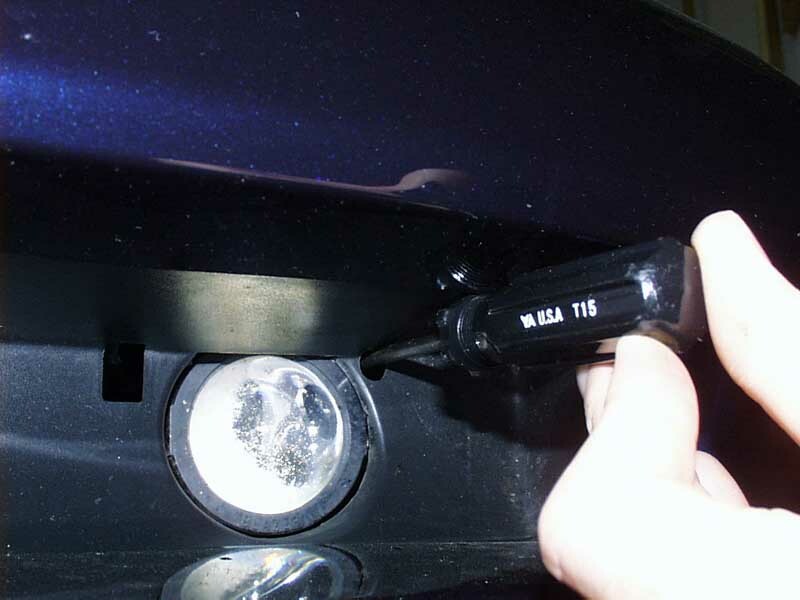 This image shows the drivers side fog lamp being adjusted. You will need a #T-15 torx screw driver. (You'll probably need a dedicated #T-15 torx screw driver, not one of those screw drivers that has the interchangeable bits because the adjustment screw hole is too small for shaft of the screw driver to fit in and the adjustment screw is recessed too deep to reach with just the #T-15 torx bit.) 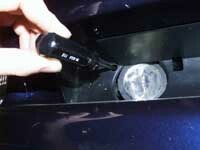 The adjustment screw is accessed from the round hole on the outboard side of the fog lamp. You might want to shine a flashlight in the hole to locate the adjustment screw because it will most likely not be perfectly centered in the hole. Give the adjustment screw four full turns in the clockwise direction. This should get you in the ball park, adjust to your preference from here. This image shows the passengers side fog lamp being adjusted. Same procedure for the passengers side. 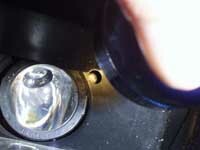 Access the adjustment screw from the round hole on the outboard side of the fog lamp. You might want to shine a flashlight in the hole to locate the adjustment screw because it will most likely not be perfectly centered in the hole. Insert the insert the #T-15 torx screw driver into the adjustment screw and give the adjustment screw four full turns in the clockwise direction. This should get you in the ball park, adjust to your preference from here. 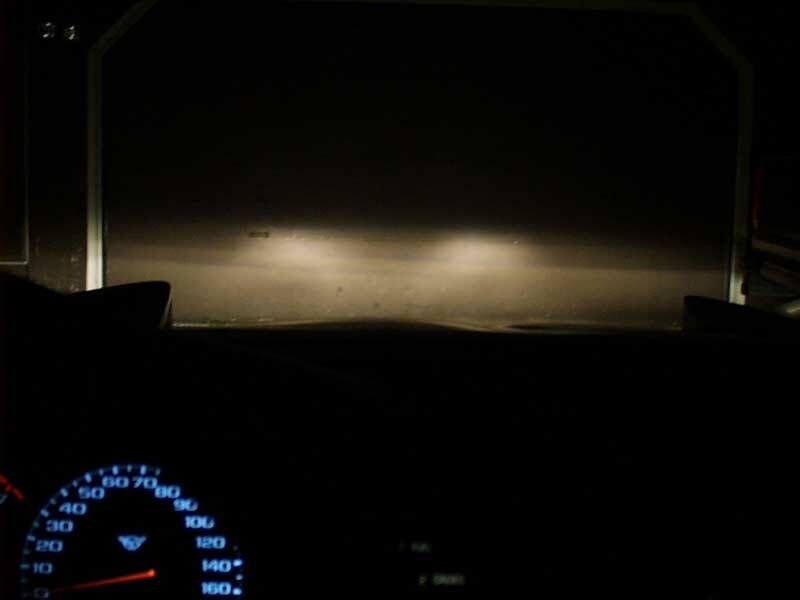 Adjusted fog lights and head lights. To test the adjustment, park the car about 10 - 20 feet from a wall or garage door. 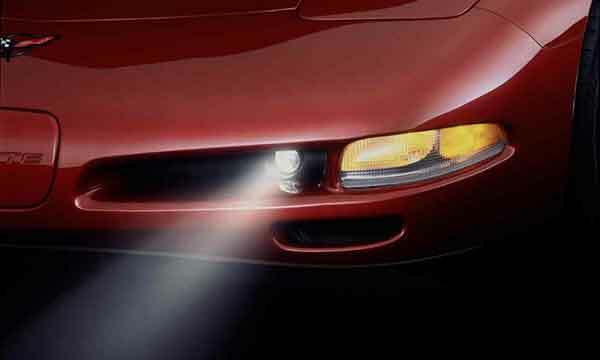 Turn on the headlights (low beam) using the switch located at the end of the turn signal lever. 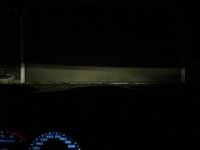 Take note how high the headlights shine on the wall/door. 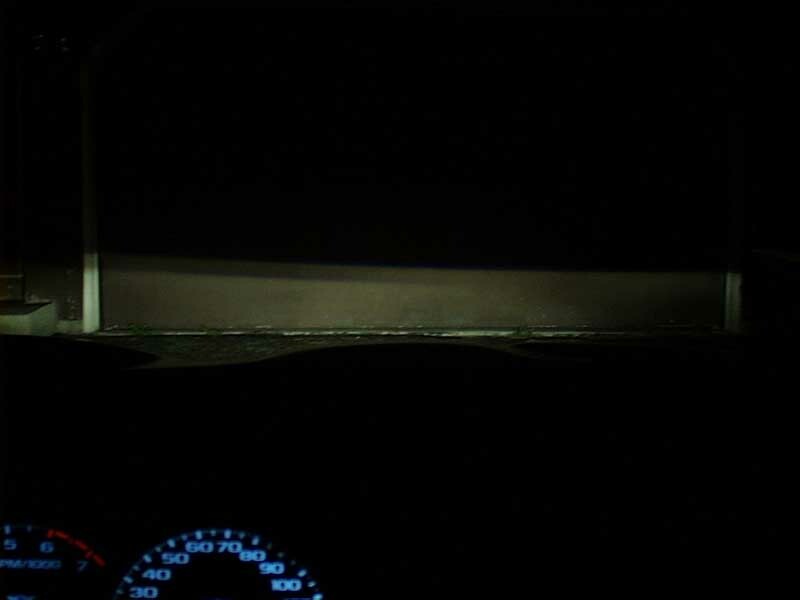 Now turn the headlights off but leave the parking lights turned on, turn the fog lamps on and compare where the top of the fog lamp beam of light is with respect to the headlight beam of light. I found that adjusting the fog lamps so that the top of the beam of light from the fog lamp (FYI: the stock fog lamps project a very flat but wide beam of light) was at the bottom edge of where the headlight beam was the brightest. Fine tune adjustment to personal preference. 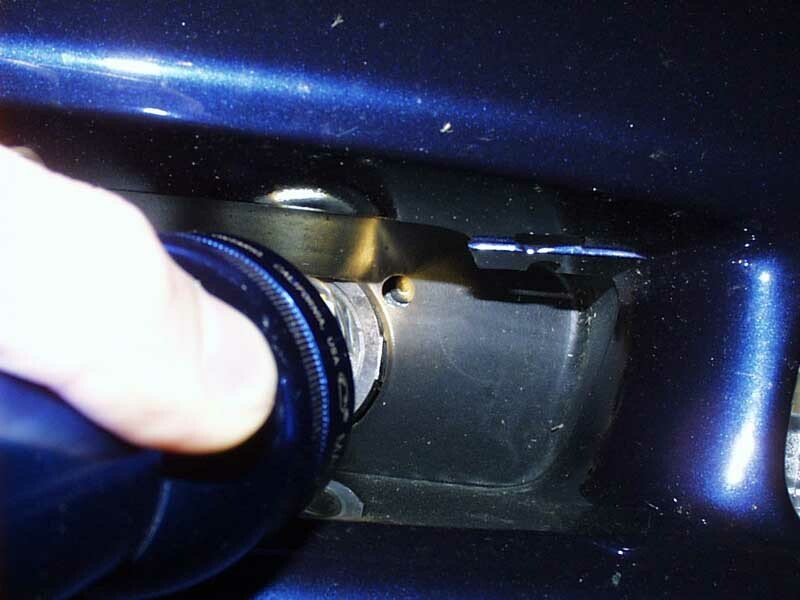 The information in this "Do It Yourself" article were provided by Corvette Accessories Unlimited, LLC, and the original page can be found here. They have been re-posted on this C5Forum.com with permission.